The following are some of our building practices. We follow these practices on every deck we build. Footings are the foundation that holds the deck in place and prevents it from sinking. The important thing to know about footings is they need to be deep enough to reach solid ground. 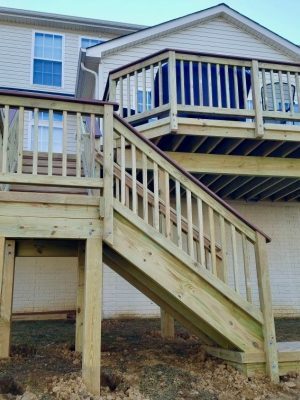 The typical code for a deck requires that the footing is 18″ in diameter and that the bottom is at least 24″ deep and reaches solid ground. 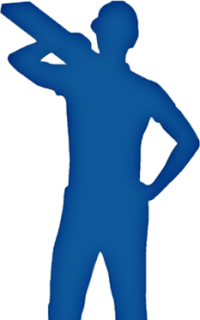 Sometimes solid ground requires digging 4-8′. If a deck’s footings don’t reach solid ground, the deck will sink and pull away from the home. 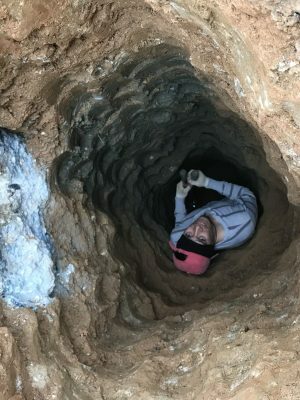 You might be asking yourself… “How does LDFCo know when footings aren’t deep enough?” We use an independent engineering company to inspect all of our footings before anything is installed. We do this to insure that solid ground has been reached and that the footings are the correct size. This is a picture of a project where the deck was sinking. 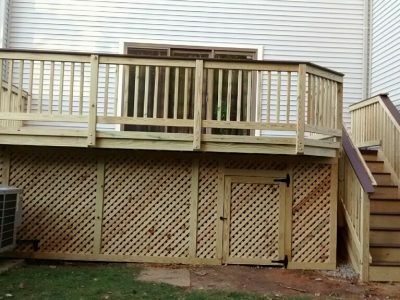 We were hired to rip out the existing deck and rebuild it. The original deck footings were only 2 feet deep (see concrete footing on left side of picture), which can be fine if it only takes 2 feet to reach solid ground. While redoing these footings, we discovered that the footings were 10 feet too shallow. In the photo, you can see where the previous company had put the footing and where we put them. Don’t worry, we pulled Leo out of the hole. Flashing is a water protectant barrier used to make sure that water is diverted away from the house. We use painted galvanized steel flashing. 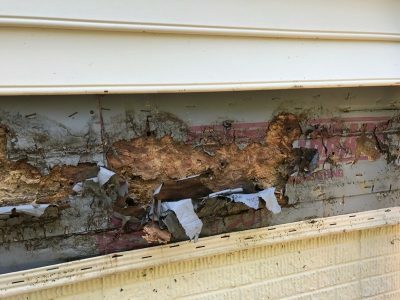 If flashing is installed incorrectly (or not installed at all), major water damage will result. We make sure the flashing is installed correctly on every project. On every deck we cover the outside cut ends of the floorboards with trim, giving it a finished look. 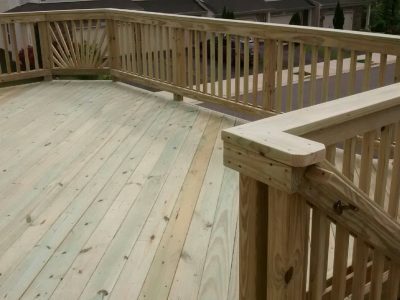 If the floor is not trimmed-out, the deck may appear sloppy and unfinished. 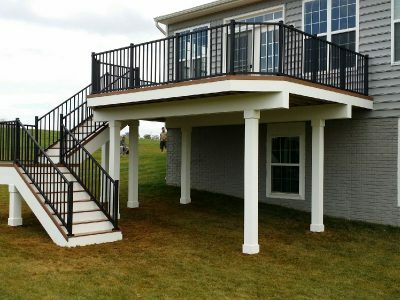 *The deck pictured has additional lattice skirting the deck. 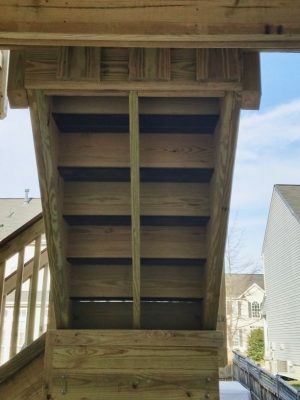 Decks have to meet certain structural codes in order to pass required inspection. Here at LDFCo we not only meet the building codes, but we generally exceed them. 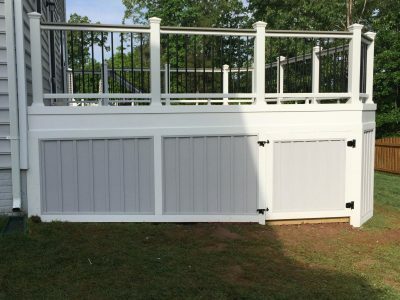 We provide a custom design for each project that may include larger posts, shorter joist spans and larger beams that make our decks very stable. 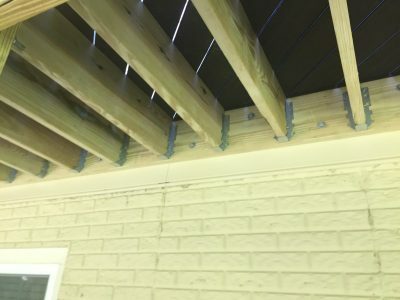 These additional structural details insure our decks will remain stable and solid for a long time. The building codes allow for 2 supports, one on each side of the steps. Here at LDFCo, we install 5 supports. You might be thinking, “Will I even notice?”. The answer is YES. Our customers tell us the stairs feel solid and secure. Below is a review we received specifically praising the stair replacement that we provided. Here at LDFCo, our rail post spacing is 5 feet or less. This makes the rail more stable and prevents potential sagging of the composite rails. Other rail post spacing options can be discussed at the time of an estimate. 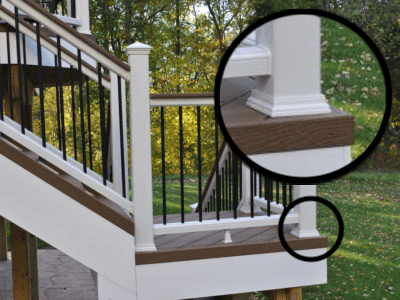 On all LDFCo pressure treated deck projects, we use screws to securely fasten pressure treated wood floors and rails. We install 2 screws in every floor joist to insure that the floor is securely fastened. We offer two-teared fascia that can be either one or two colors. 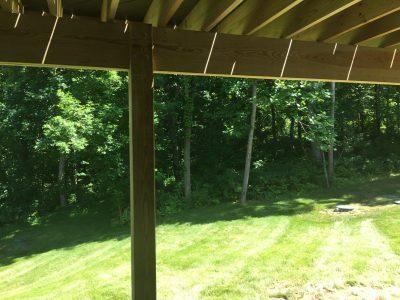 This gives the deck an excellent, finished appearance. *The pictures below are an example of a two color fascia.